Soon, very soon, the party will be over. All the presents will be opened, and you will sit in the peace that is Christmas Day evening. What to do? You spent a lot of time on those decorations, so have a little fun with the lights before you rip them down. If you own a DSLR camera or any camera that will allow manual focusing or adjustments to shutter speed, you can create some really cool photos. The trick to getting that nice bokeh (out of focus balls of light) in the background is for the Christmas lights to be completely out of focus. This is my Christmas tree completely out of focus. Notice that as the tree gets more and more out of focus, the bokeh becomes larger. “That’s great”, you say, “but why do I care about a blurry Christmas tree photo?” Stick with me here. Now place a loved one in front of the Christmas tree. Bring them forward farther than you normally would so that there is a greater distance between the subject and the lights of the tree. 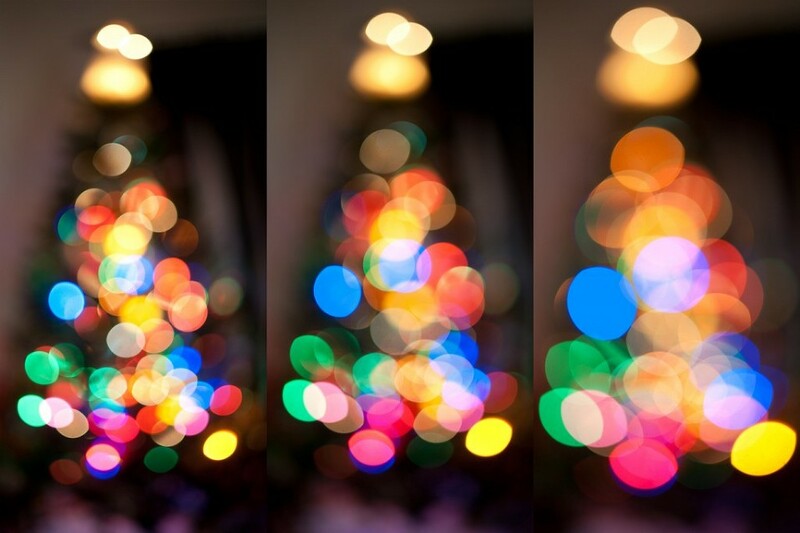 Place the subject farther away from the tree and closer to the camera so that the lights become beautiful bokeh instead of a perfectly focused light strand. This is a simple snapshot of my daughter and a friend at Opryland Hotel. They are not right next to the trees but out in front of them. This photo shows how the lights right next to the subject are perfectly visible as a strand of lights while the wrapped tree in the background is more magical. NOW! On to fun with a slow shutter speed! 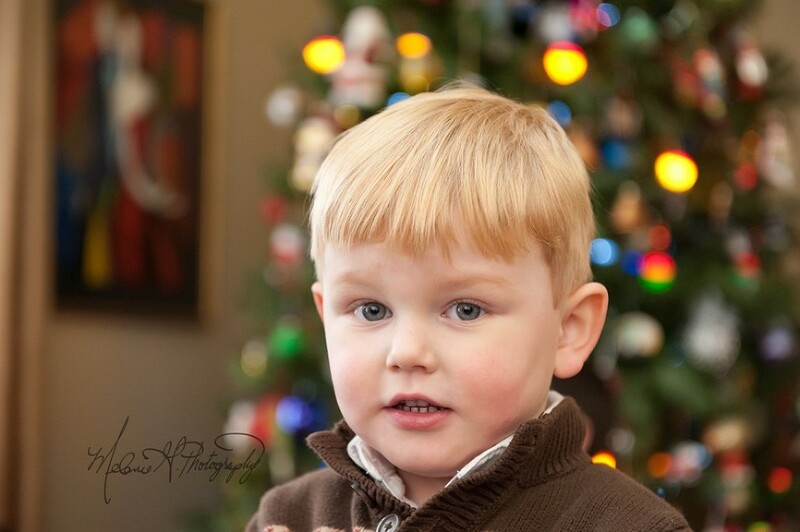 If you are less familiar with manual settings on your DSLR camera, place it in “s” for shutter priority. Bring the shutter speed down to 1 second. This is VERY slow. The shutter will be open for one full second. Most of the time if you are shooting outside, the camera may be working at 1/2000 of a second or faster. Point the camera in the direction of some lights. It doesn’t matter now whether they are in focus or not. Press the shutter button and move the camera. The results are so much fun! In this photo, my tree is out of focus, the shutter is set at 1 second, and I moved the camera in a circle. The tree was in focus this time, but the shutter speed remained at 1 second. I love this one! Same settings here, but I moved the camera in a more zig-zag motion. Super fun! I hope this inspires you as you take a last look at your holiday lights. Grab your kids. Get the camera. 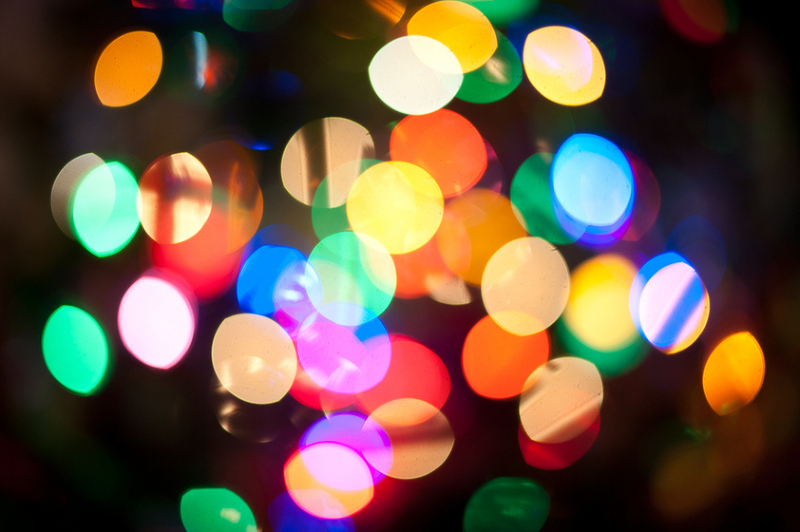 Take some soothing bokeh photos to remember your 2012 Christmas and some fun disco light photos in honor of 2013. I tried the Christmas light shoots and got cool results…….I was shooting with my Nikon d3100 35mm 1.8 What lens did you use?